Since 2003, 10Bet have been honing their skills and building an online betting site to rival those twice its size. They are top dog when it comes to Football markets, often offering odds you won’t be able to find anywhere else and supporting every bet type too. This is all set out on an interface that may take a bit of getting used to if you are inexperienced, but is highly effective once you have explored. 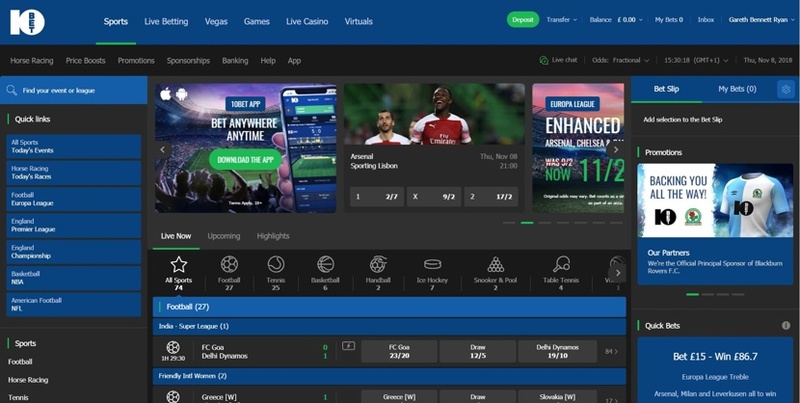 Some of the most exciting and up to date betting features in the industry can be enjoyed at 10Bet, with Pulse Bet standing out in particular, and a stats portal that will serve you especially well if you are researching some of the more obscure markets on offer. As a company they may be faceless, but this remains a popular bookie for real bettors. The absolute Don when it comes to Football betting. 10Bet boast possibly the most extensive coverage of global football in the industry at over 150 leagues from around the world, and not only that, the stats available for faraway matches like Vietnam vs Laos are just as detailed as they would be for a United vs Chelsea fixture. Ok, the Serbian Superliga and the Uganda FBL don’t offer much in the way of market depth, but realistically how much are you going to know about them anyway? When it comes to games closer to home, 10Bet make even the top 5 nervous with their market range. If you bet Football, especially if you use accumulators and bet builders, this is the place for you. Another plus point is how early 10Bet publish their odds in comparison to other bookies, so this coupled with the astounding number of events covered – reportedly over 75k at any one time – will serve you well if you are the sort to plan ahead. The odds themselves are usually pretty good, too, although Daily Specials and Enhanced Odds are a little thin on the ground. Other areas of merit in terms of event numbers are Tennis, Golf, and Table Tennis; although the Esports, Winter Sports, and Motor Racing categories also fare better than elsewhere. Market depth isn’t always great, though, and while they do offer a few Specials this isn’t really their remit. 10Bet aren’t especially well known for Horse/Greyhound Racing but they list every race the UK and Ireland has to offer along with a healthy number of related offers including, though not limited to, Best Odds Guaranteed. In-play options are offered on the home page but if you go to the dedicated Live Betting area the interface is much easier to use. The Sports are laid out clearly using icons along with the number of events in each category. These events are then listed by league or competition using collapsible menus. 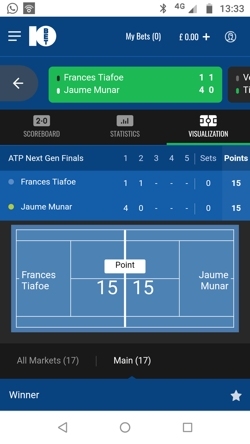 The Event View will remember the game you were following so you can nip back to the Overview or check the Live Schedule without losing your place, and also offers plenty of match stats to help you on your way. Where Live Streaming isn’t an option (and it often is for the top sports) the in-game graphic is excellent, for Football in particular, and used alongside the stats portal you can get deeply involved in the action. For fixtures that offer Live Streaming the only requirement to access it is a funded account. As well as the great range of bet types and features available on pre-match wagers, there are some that are specific to in-play betting: Fast Markets are particularly prevalent in Tennis, and allow wagers on what might happen in the next few minutes like who might win the next point in set 4; plus, the always popular Next Goal is available as well as Pulse Bet, which we will cover later. 10Bet live up to their reputation when it comes to the number of events available in-play, reaching into the hundreds at busy times, and market range is usually as good as you will find anywhere else, sport dependent, of course: as an example the Argentina Reserve League games might offer 60 markets while the Volleyball will have 8. There is nothing to worry about here in terms of choice. Plenty of options exist for most punters to deposit and withdraw funds, and there are no fees associated with either from 10Bet. Paypal is a welcome sight and time frames tend to be within reasonable boundaries unless you are using an Ewallet – how that takes 1-2 days is beyond us. There is also a pretty hefty 100k max win per day. It’s worth checking the T’s and C’s or speaking to Customer Support if you are going to be dealing in larger sums of money. There is a lot to look at here so we have had to miss a few things out that we would have otherwise mentioned, such as Virtuals, acca boosts, and the 10Bet blog. The equivalent to a shot on a night out, this feature isn’t yet widely available since it was developed only recently by SBTech, but it’s a cracker. You bet on what will happen in the next 30 secs, 1 min, 5 mins, or 10 mins. That time period is then split into three, with your potential winnings increasing the closer to the end of the time limit you get. So, for demonstration purposes only: You bet for a goal to be scored in the next 30 seconds. The ticker will start counting down and the bet begins. A goal within the first 0-15 seconds is worth £100; a goal between 15-25 seconds is worth £500; and a goal in the final 5 seconds is worth £1000. This is Pulse Betting, and as you can see it could be a thrilling experience as well as a tidy payday if your luck is in. Mobile only feature. Create Your Bet is specific to those who bet on the Football via mobile. First, select your event pre-match and you can then start to build your bet from the range of bet types. You can add up to 6 selections for each game, such as Chelsea to win, Hazard to score, and the final result to be 2-0, for example. So that would be 3 selections. Then choose your stake, have a quick check to see if you are happy with the deal, and place your bet – with the emphasis on the word ‘your’. This one is exclusive to 10Bet and allows the punter to add unlimited further selections to a bet that is already open. This potentially boosts your winnings and almost certainly boosts the levels of excitement. If you have a bet offering Cash Out you can use that amount as your new stake so the bet doesn’t actually cost you any more money. Check the T’s and C’s but that is the long and the short of it. For best results use with acca’s. Available on pre-event, live games, singles and acca’s, Cash Out at 10Bet gives you the control. Not all bets will qualify for Cash Out so make sure you check, but otherwise, it is a simple case of hitting the button and claiming your money before the event has ended.Obviously, it would be unwise to do this if you had put £10 on Tottenham to win 2-0 and the score at 89 minutes is 2-0 to Tottenham. If, however, Tottenham are only 1-0 up with 5 minutes to go and they don’t look like scoring, you could use Cash Out to your advantage. However you choose to use it, it’s available and easy to manage at 10Bet. 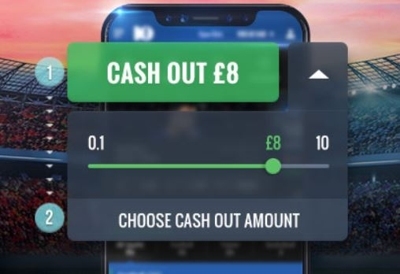 The option to cash out part of your bet is also on the table. Maybe you are getting cold feet but don’t want to pull the plug quite yet, or maybe your stake was a little more than you now think was wise; you can choose to pull out £5 worth of that £10 bet on Tottenham at the Cash Out odds, while leaving the other £5 in at the original odds. 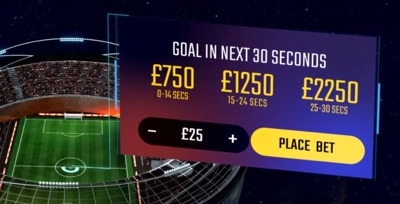 If you are prone to indecision then this could be the perfect solution for you, just use the slider to decide how much to leave in and how much to cash out. There are more than 500 games to fill your time at the 10Bet Casino, including video slots, table games like Roulette and Blackjack, and also Live Casino where you can see the dealer via video link. The ‘Casino’ is actually split between the Vegas and Games sections of the website, but together they host a good selection of software providers meaning plenty of range in the style of games you can play – there are even some sport genre slots if you want to keep to the theme. There isn’t much to learn if you are new to Slots, and they can be good for when you have a few minutes to kill; those venturing into the table games may want to put a little more time aside, however. Delve a little deeper with our 10Bet Casino review. One obvious issue in providing so many different betting markets is how to display them all. 10Bet have had a good go but it can take a little longer to find your fixture if you click through all of the options, drops downs, and collapsible menu’s. 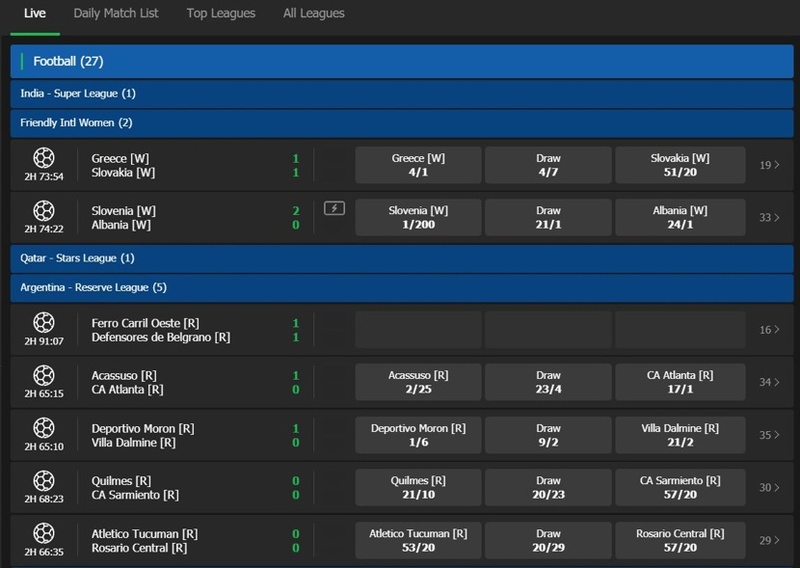 Luckily, the search bar responds instantly so you can save time that way, and if you are browsing for something new to bet on then the interface actually works in your favour by segregating sports by country/continent and then by the league. There are also Quick Links available which may suit your purpose, and events can be listed Live, Daily, by Top Leagues, or All Leagues. That gives customers plenty of scope and the electric blue theme helps to differentiate between separate areas of each page, and really works with the youthful energetic tone. The site is built with the famous SBTech platform and is probably the best example of what SBTech can do. It is state of the art in appearance, packed with features, and everything zips along at quite a lick – some less labour intensive actions such as changing the odds format happen so quickly you don’t even notice. It’s definitely user friendly and intuitive, you are unlikely to get lost or stuck, but there is a lot going on so you might initially feel a little overwhelmed. It’s always a balancing act and we feel 10Bet have ever so slightly overloaded what is otherwise a very good website. The mobile site works best as an in-play betting tool without a doubt, and it is also a much simpler affair to deal with than its desktop counterpart. Not that there is less content available, but the amount of information displayed at any one time is much easier to digest. It is noticeably fast with minimal reactive delay, and the main interface has been stripped back to the necessities although it doesn’t feel bland. The scrolling taskbar will probably get you to where you are trying to go, but if it doesn’t you can use the Menu button to find the A-Z as well as a link to Live Chat. The in-play area suffers very little from being on a smaller screen as all of the stats and visualisation options remain. In some ways its much more fun on a mobile because last minute wagers are offered as pop-ups before key events in the game, such a free kicks or corners. This is occasional and doesn’t feel intrusive. The sheer number of markets can still be a bit of an issue with the amount of scrolling you end up doing, but once you get past a certain point you are given the option to go back to the very top without having to scroll back up, so 10Bet have done what they can to resolve the issue. Although 10Bet have been in operation since 2003 – making them ancient in online gambling years – still relatively little is known about them. They are a faceless bookie in as much as there are no quirky stories or historical anecdotes of note. In fact, it’s difficult to find much information on them at all. They are licensed under Blue Star Planet Ltd who are registered in Malta, and who are in turn run by a company named Comfortlink N.V who are based out in Curacao – and there the trail runs cold. Neither company has a website and the only associated name is that of one Roy McKenzie, CEO of Blue Planet. 10Bet are known for their extensive sports markets and global reach, with estimates that they now serve punters in more than 90 countries around the world. They aren’t prolific advertisers, but they have been the official sponsor of both Blackburn Rovers and West Bromwich Albion. All of this cloak and dagger secrecy can come across as shady, but this doesn’t seem to be putting anybody off. The 10Bet business continues to grow. Quite simply, if you but on the Football in any way, shape, or form, then 10Bet is for you. A combination of accumulators, bet builders, cash out and request a bet’s means that you have total flexibility when it comes to Football betting. It is also a site that works well for the more organised of you. 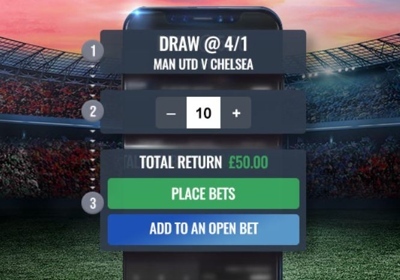 10Bet lift the lid on their odds early and offer a lot of ante-post and future bets, and the calendar style structure of their betting platform makes this a doddle to coordinate. Novices will get on with 10Bet just fine, but for our money, those who will get the most of it are those of you that have gambling in your blood. It might be difficult to get information on the company itself, but it couldn’t be easier to get hold of the support team. They are available 24/7 across all lines of contact – Live Chat, Email, and Phone. The FAQ doesn’t go into too much depth but has links to everything else that could help, including Contact Us, while the Live Chat option is always in sight on every page. There are also sections to help newbie’s which lays out how each bet type works and the rules for each different game. Emails should get a response within 24 hours, although it’s usually much quicker, and we have never had to wait for more than a few moments to be connected via Live Chat. What’s more, the operators go out of their way to help and the interface is very contemporary. To put it simply, help is never far away. 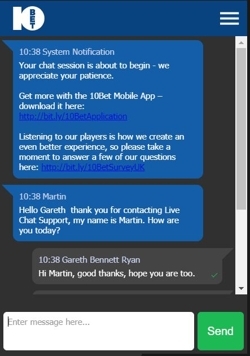 Live Chat – Confusingly not located in the Contact Us section, but clearly visible on the main task bar. The staff are really friendly too, if a little subservient sometimes… but one or two of you might quite like that. Email – They prefer to be contacted by email so unless your query is urgent use csd@support.10bet.co.uk in the first instance. Phone – UK customers should call 0800 047 0965 for some real life human interaction. @10BetSports – This account provides plenty of cheeky humour as well as live updates during games and a few special offers.